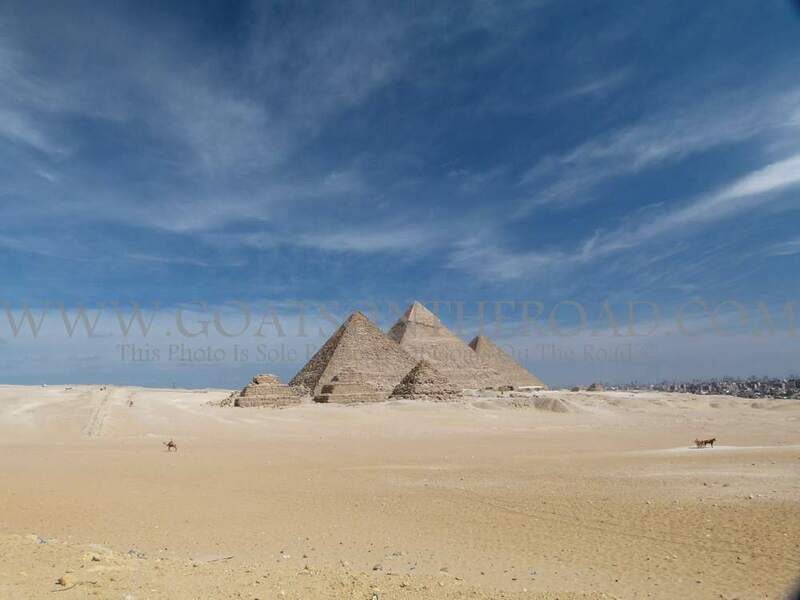 Goats on the Road Posts » Travel Blogs » Middle East » Egypt » Is Egypt Safe To Travel? We landed in Egypt on March, 9 / 2011 just after the revolution of the people had reached it’s boiling point and simmered off for a few days. We had mixed feelings about coming here. On one hand we were excited to see the country and knew that there would be fewer tourists than usual. On the other hand we were slightly worried because of the news and concerned emails from our friends. In reality, from our experiences in travel, we should have known better. CNN and BBC news always exaggerate the situations in countries and the warnings on government websites almost always make situations sound much worse than they really are. The revolution going on in the Middle East is aimed solely at the corrupt governments that have repressed the people in this region for decades. 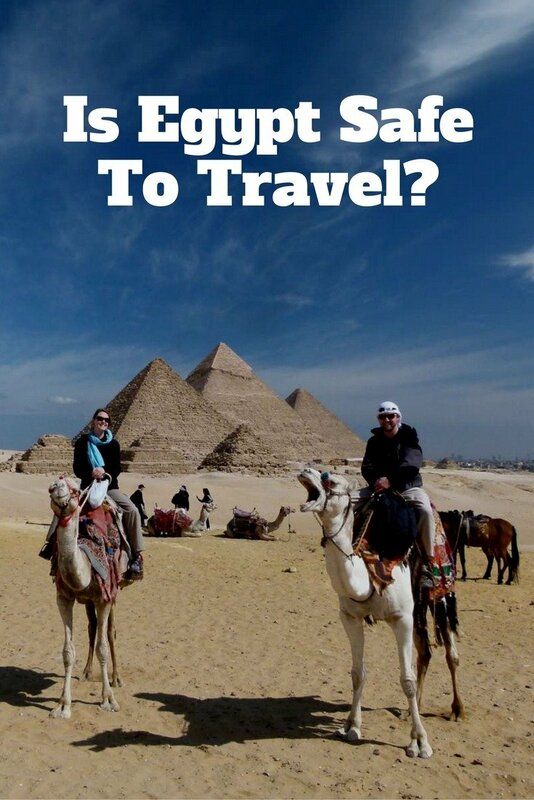 In no way are they aimed at the tourists or even other Egyptians. The swarms of people that usually descend on this country in the millions were reduced down to a few hundred determined, often independent travellers, like us. 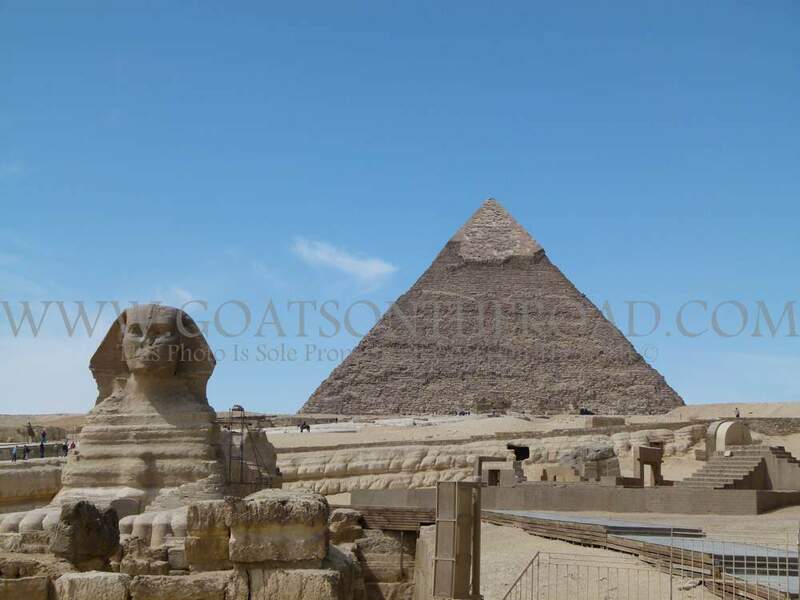 What was left were backpackers and wise travellers who ignored the lies and misinterpretations they heard on the news, and the beauty of Egypt and its historical monuments were ours to explore. Now truly is the best time to visit Egypt. If there was any doubt regarding whether Egypt was safe to travel before entering Egypt, it was smashed the first day we walked around Cairo. We couldn’t walk 10 feet without hearing someone yell “HELLO! WELCOME TO EGYPT!” or “WHERE ARE YOU FROM? !” We’ve literally never felt more welcome than we do in Egypt. The first day in Cairo we visited the Egyptian museum which was, of course, phenomenal. Outside of the museum in Cairo – no cameras allowed inside! Usually the museum is jam-packed with tourists year round and many of the main sites become a mosh pit of determined onlookers. 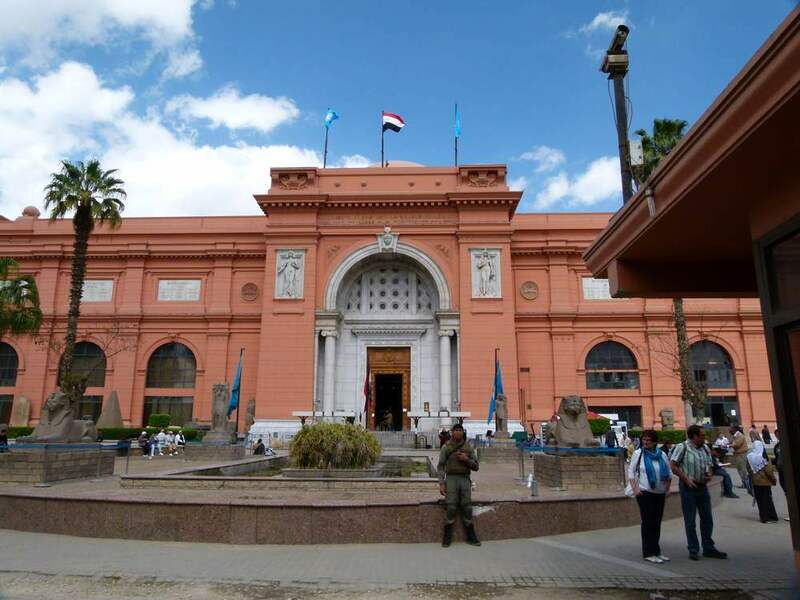 But for us, just days after the fall of Mubarak rule and in the infancy of “The New Egypt” we walked around the museum uncrowded and hassle-free. Usually viewing the golden head-piece of King Tut is nearly impossible because of the amount of people around, but we were virtually the only two in the entire King Tut room! It was amazing to see artifacts that we studied in school so long ago inches away from us. King Tut’s Mask was the cover of our social studies text-book in elementary school and now we were gazing at it through an inch of glass. It was really amazing. The entire museum was full of gold sarcophagi and amazing statues that date back 4000 years. The rest of the first day we just walked around Cairo and absorbed its immense energy. Whole streets were blocked off by men fixing cars. And entire city blocks were completely devoted to the intense art of selling T-shirts. The salesmen do everything to get people’s attention, from throwing shirts at them, to lying down in the middle of the street faking a seizure to stop traffic for up to 5 minutes. Our room was amazing and had a balcony overlooking all the madness of down town Cairo. Sometimes I would just sit on the balcony and an hour would pass before I would realize that I was just watching the streets and being extremely entertained. 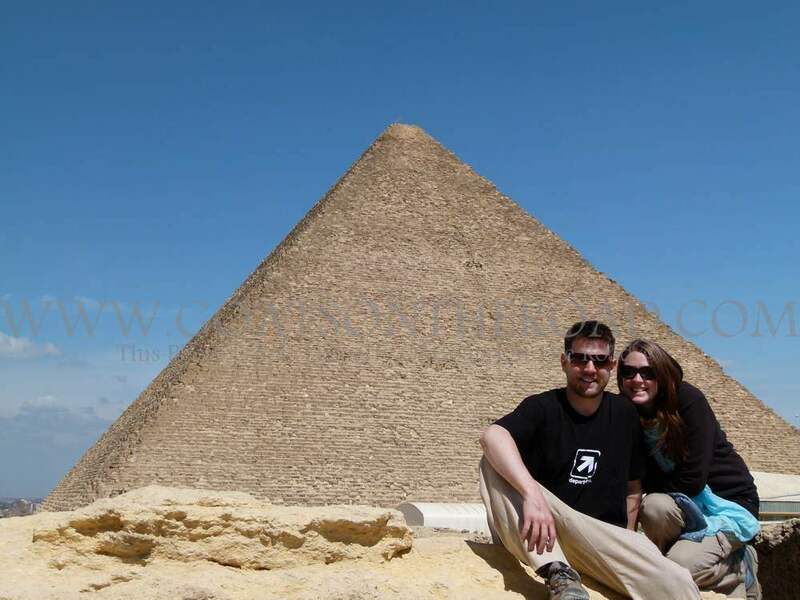 Another day in Cairo we went and saw the Pyramids! What an amazing site. We took a camel around the Giza plateau to get in all the angles of the ancient giants. The oldest of the famous pyramids is over 4000 years old and stands nearly 140 meters high! They are even bigger than I had imagined. We even climbed inside the pyramid of Khofu, which was underwhelming, but still cool. Usually the entire plateau is filled with tourists, but extremely lucky for us, it was nearly empty. In fact, we were some of the only people there until about noon when a couple of buses showed up. Mainly it was locals though, just taking advantage of the lowered ticket costs. Some of the Egyptian people even came with signs reading “the revolution isn’t over yet”. They gave flowers to all of the tourists and a small scroll explaining the people’s revolution and safety in the New Egypt. We definitely felt safe traveling in Egypt. 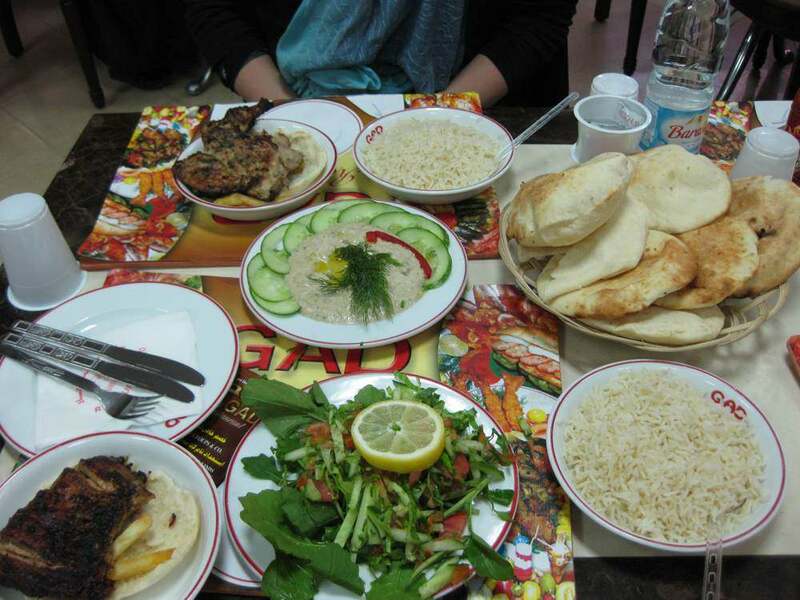 Next we went to Alexandria, a beautiful city on the Mediterranean with plenty of history. 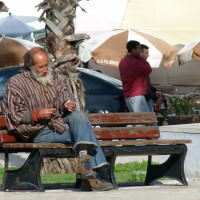 Unfortunately not much to interest us other than the walk along the corniche. 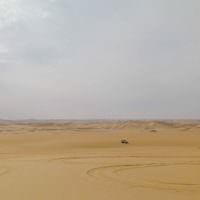 We spent a couple of nights there and then headed to Siwa Oasis in the middle of the western desert. Siwa is where we really began to see just how amazing and generous the Egyptian people can be, Siwa is where we stopped just travelling, and started really backpacking.